William “David” Rigdon is an Executive Consultant for Leath Group, LLC—a dynamic curriculum development and intellectual property greenhouse that grows leaders and shapes cultures. 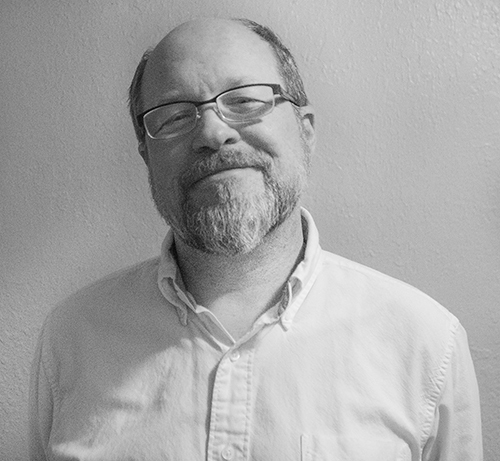 In his most frequent roles as consultant and instructor, David works in the areas of assessment center development, change management, team leadership, adaptive performance, and curriculum development for interactive technology platforms. Formerly a marketing/advertising consultant, David spent more than 15 years specializing in entrepreneurial start-ups and new product/service launches. His “prior life career pinnacle” occurred in Los Angeles at GoWarehouse.com (now Vizional Technologies, Inc.), where he developed and implemented a one-year internal/external communication campaign. His efforts garnered a $250 million second-round funding offer from Goldman Sachs just prior to the market collapse. In this former career, David was asked to hire, develop, retain, and manage small marketing/communications/graphic design teams. Over those 15 years, he learned many hard lessons about managing projects and leading people and was intrigued by failure and where/why it occurred. Disappointed in his own lack of leadership consistency (why some teams gelled and others disintegrated and why most met their objectives but few possessed the desire to exceed them), David persevered to convert lemons into lemonade. Following the burst bubble of the dot-com era, David returned from L.A. in 2003 to study Industrial Psychology. His initial driving questions included, “What was I missing?” and “How could I improve?” As everyone does, he realized there is no one-size-fits-all magic formula, but he did find an active research community with solid answers to many tough questions, and a genuine desire to improve the world of work. Today, in addition to sharing his many wonderful talents and keen insights with Leath Group, David teaches Psychology Applied to the Workplace (a hands-on experiential course in small group dynamics and team leadership) at the University of Texas at Dallas. David earned his BS in Communications from the University of Texas at Austin and his MS in Industrial/Organizational Psychology from the University of Texas at Arlington. David and his wife, Cathy, met and married while both were attending UT Arlington in 2004. A second time around for both, David is dad to adults Rob and Kate, and a cat, Comet, four dogs (Darwin, Dakota, Boiler, and Colt), a sister (Julie), and Julie’s two-year-old daughter, Sarah. Yes, things are always happening at the Rigdon household! David and Cathy love to travel—not really the getting there part—just the going there part. Their favorite way to travel is by passenger train. They spent two weeks on the rails for their honeymoon traveling up and down the U.S. Eastern seaboard. In his spare time, David designs non-traditional tabletop games and builds furniture.